Managing your business and focusing on work leaves little time or energy for maintaining vehicles and equipment. But you push your equipment to the limit in the name of productivity, which is critical to satisfying your customers and remaining profitable. Implementing a maintenance program centered around AMSOIL synthetic lubricants helps you answer these challenges. 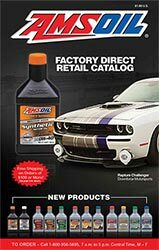 AMSOIL synthetic lubricants and performance products are tough, reliable, and long-lasting. We formulate them to save you time and money while providing peace of mind that your vehicles and equipment are receiving the protection they need. Open a commercial account for access to AMSOIL products at the lowest possible prices for us in your business vehicles and equipment. Establishing a commercial account is simple and best of all - FREE! 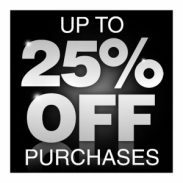 You will save up to 25% off MSRP and automatically earn purchase discounts based on your cumulative order value. AMSOIL synthetic lubricants deliver proven wear protection in the most demanding vehicles and equipment. By guarding against wear and deposits, they protect the power and efficiency of your equipment and maximize engine and component life. Accounts are serviced by independent AMSOIL Dealers available to help map out a lubrication program designed to maximize vehicle's performance while saving money. AMSOIL INC corporate personnel are also available to offer technical and administrative support. 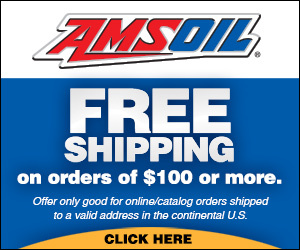 Accounts may order directly from AMSOIL INC. or through their servicing Dealer. Qualified accounts may also apply for credit with AMSOIL, simplifying the payment process. Not only does reduced maintenance save money, AMSOIL synthetic lubricants deliver additional savings by maximizing fuel economy and extending drain intervals. Invest more money in growing your business, not repairing or fueling your vehicles. AMSOIL offers everything from advanced synthetic drivetrain lubricants to premium fuel additives. The compplete AMSOIL product line ensures all your equipment is protected. 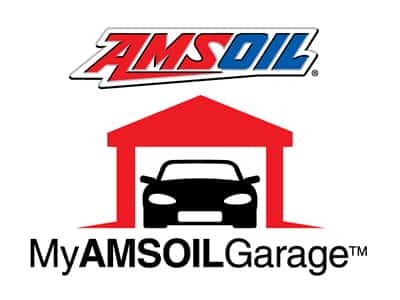 MyAMSOILGarage is a free, easy-to-use online vehicle maintenance program that allows you to organize maintenance records for an unlimited number of vehicles and equipment. 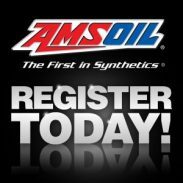 Schedule email reminders for future services and track any service performed, whether using AMSOIL products or not. Commercial accounts are businesses or governmental entities that purchase AMSOIL products for vehicles and equipment used exclusively for business purposes. Commercial accounts cannot resell AMSOIL products. Click ‘APPLY’ to Start Saving!